Our new host is Dave who will make you very welcome. 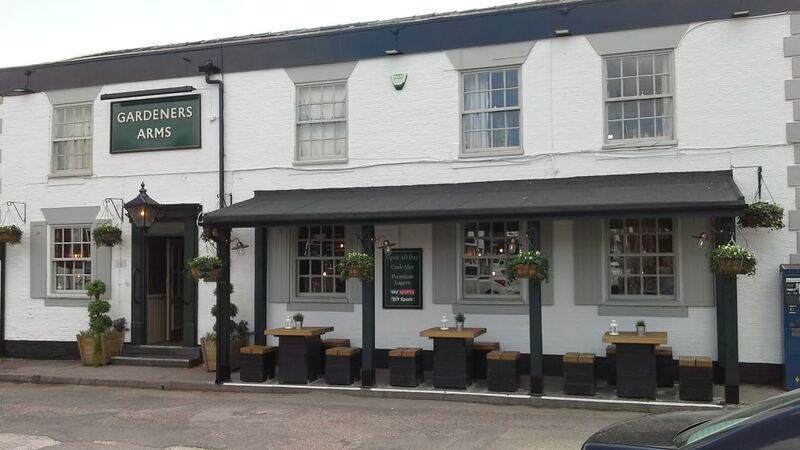 The Gardeners is a Greene king pub with plenty of choices of fine cask ales. Our hosts do arrange vocal singers and bands for weekend entertainment. A few members meet regularly on a Tuesday and Friday nights. Gardners Arms, Little Street, Stockport, Cheshire SK2 5AB tel 0161 480 4313. Parking: Car park for several cars at the front which shares a small garden with patio seating etc. There is also a public car park 100yards behind the pub.